Myer, the Australian department store chain, has launched “Where Christmas Comes For Christmas”, the campaign will launch with a 60 second stop-motion film featuring four animated Christmas characters making their way through a winter wonderland to buy their Christmas gifts. The reindeer, angel, mouse and elf were created at Aardman Studios, the animation studio responsible for Wallace & Gromit and Shaun the Sheep. Beyond the brand film, the story of these characters runs through retail TVCs, posters, press, microsite, social, catalogues, shopping bags, staff uniforms, wrapping paper, gift cards and visual merchandise displays. 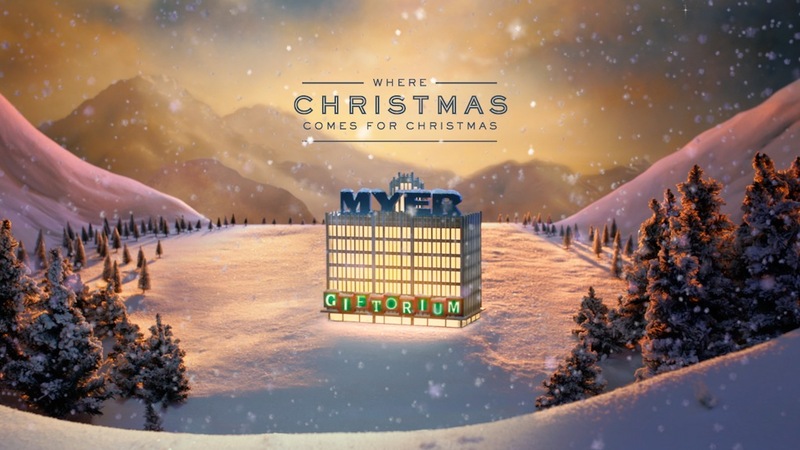 Every touchpoint at Myer has been transformed with the campaign designed to direct consumers towards Myer’s Christmas gift destination, the ‘Giftorium’. 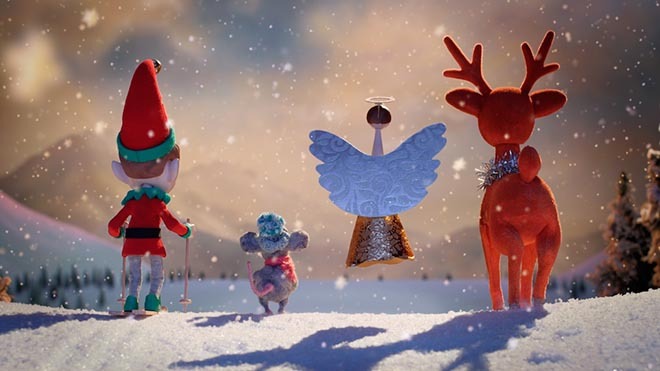 The Myer Christmas campaign was developed at Clemenger BBDO Melbourne by creative chairman James McGrath, creative directors Evan Roberts, Stephen de Wolf and Carolyn Mackintosh, senior producer Karolina Bozajkovska, operations director Sharon Adams, group managing director Simon Lamplough, business director Kellie Lennon and senior planner Matthew Kingston working with Myer chief merchandise and marketing officer Daniel Bracken, GM marketing strategy and communications Nathalie Warren-Smith and senior marketing manager retail events and services Joanne Brennan. Animation and filming were produced at Aardman Animations by director Steve Harding-Hill, producer Steph Owen, production coordinator Caroline Hague, head of model making Chris Entwistle, director of photography Mark Chamberlain, lighting cameraman Jeremy Hogg, animator Dave Osmond, post production supervisor Jim Lewis and editor Dan Humber. Sound was produced at Flagstaff Studios, Melbourne.